As Christians we celebrate death not only as an end of life well lived, but also a passage to a new an eternal life in the presence of God. Bereavement Ministry consists of various tasks that provide compassion and offer assistance to grieving families. - Family Ministers provide assistance to help families plan meaningful Liturgical Services. - A team of Bereavement Ministers attend and perform wake services. - Music: Funeral Choir provides music and songs during the Funeral Mass. - Embracing Memories is a seven week support group for those grieving the loss of a loved one. - An ongoing support group whose focus upon social aspects of living life after a loss is called People Embracing Life (PEL). Do you feel called to help others who have experienced loss? 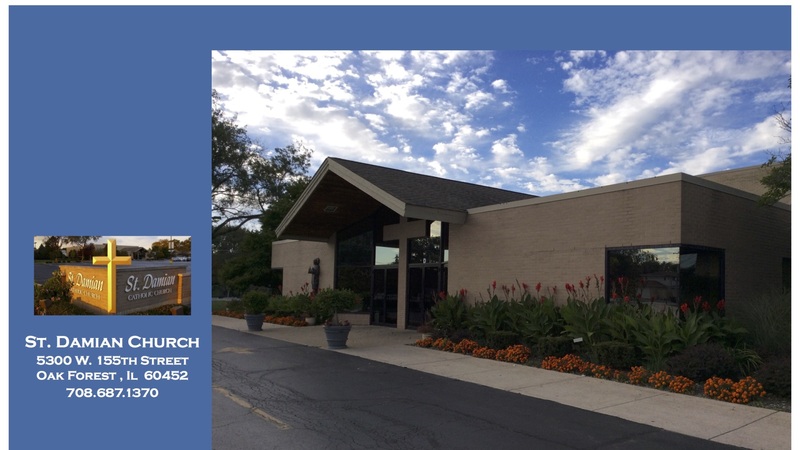 Contact Deacon Bill and Anne Stearns at the Parish Office 708-687-1370. Embracing Memories is a seven week course for those who have experienced the loss of a loved one. Grief is a normal response to loss. Grief is a process not an event. Grief is not a disease and there is no known cure, quick fix or immunization for what we experience. Since we live in a culture that avoids death and mourning, the process of grief is largely misunderstood and seldom discussed. Grief is individual and directly related to the intensity of our love…so we grieve as we have loved. We live in a society that seems to view death as though it were an option, something that only happens to someone else. Our fast paced life dictates that we “get over it” so we can get on with our lives. We are often encouraged to replace that which is irreplaceable in our lives. Healing is indeed possible and often takes months and even years for a person to realize exactly who they are with their loved one no longer in their lives. This program offers the individual suggestions to help them journey along the pathways of grief. Contact Deacon Bill and Anne Stearns at 708-687-1370 for more details and to participate.